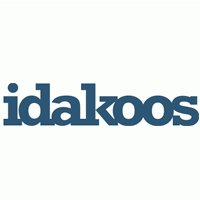 Idakoos is a personalized products online store. Thanks to our years of experience the sale and distribution of our products, we help our customers to create their t-shirts, sweatshirts, mugs, acrylic signs and other products to show what they feel and believe or to represent their interests and their passions. With only a few clicks you can add a touch of you to any of our products. Products designed with you in mind. We don’t have finished products, which is why each product ordered by you is unique and made specially for you. A variety of products is just waiting for you to place your order to be printed on. Since each order is unique we ensure that all of our clients receive only the best and most thorough customer service possible. Our team of customer service agents is here to help during each step of the process as well as after completing your order.